"Brian's shop is honest, efficient, nd provides outstanding service. They.."
"Very honest, reliable, friendly and fix it right the 1st.."
"Trust worthy, honest and very informative . You won't be.."
"Very good work and not expensive"
"Brian’s Automotive always provides the best service at the fairest.."
"Very accommodating fast and friendly service... My wife and I.."
"Very professional. I took advantage of the AAA free 40.."
"Exceptional Only need one word to describe the service"
"That their services are second to none 😀"
"I would highly recommend Brian’s automotive if you want honesty.."
"Brian's Auto does Top Notch Work and they Don't Rip.."
"I have & I do..."
"They not only do great work on your vehicle, but.."
"I always recommend Brian’s! Great service and care." "Superior service and quality work." "Brian was my family's mechanic long before he opened his.."
"I would tell anyone needing work done on their vehicle.."
"Honesty and professional service.. bar none!" "Work is done right the first time and on time..."
"I've recommended them to friends of mine already. I tell.."
"great service, friendly and professional...very skilled and knowledgable in all things vehicular...."
"The shop is a wonderful example of expertise and professional.."
"They always go beyond our expectations"
"TRUSTWORTHY!!! Will recommend to friends and family!" "Always quality work you can count on. The cost are.."
"From the moment I walk in I feel I am.."
"Excellent service, I’m very happy with their work." "Excellent service. Kept me informed about my car repairs and.."
"Excellent customer service! Listened and addressed all concerns, and didn’t.."
"Customer service was great, very prompt and responsive. Knowledgeable about the vehicle." "If you want a trustworthy mechanic and very good at.."
"Exceptionally great prices! Friendly, Fast and courteous! Good honest work!" "They are good, fair, and nice." "The place to go for your auto"
"That they know what they are doing." "Brian is always prompt, skilled, and fair. I have been.."
"Brian always does an awesome job i’ve been using.."
"They do a GREAT job for a FAIR price!" "Quality of work is excellent! Customer communication is excellent! I wouldn't.."
"As always, a great experience. Brian, Kim and the.."
"Extremely trustworthy and skilled! Honest and reasonable. Brian is a.."
"I'd say...you found the best auto service business in San.."
"They are the best...and so is Candice!" "Brian and his wife are honest, reliable and do quality.."
"Brian is very personable and interactive with his customers. He.."
"I tell all my family and friends to go see.."
"Brian offers excellent service for a great price." "Honest and friendly service paired with great quality work"
"They excell at customer satisfaction"
"There honest and do great work, they always give you.."
"Very fast service. Slight misunderstanding with the invoice but solved.."
"Honest and trustworthy, a great diagnostician." "Have suggested Brian to my friends." "I have already recommended to several of my friends ." 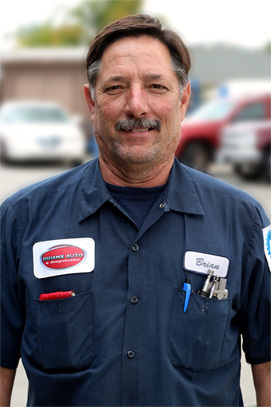 "Brian is an excellent mechanic and very knowledgeable. And fair.."
"Best auto shop around! They do thorough and honest work..."
"I will never take my car anywhere else. They are.."
"Excellent service. Personable, affordable, fair, honest, shows a high level.."
"Very friendly staff. Brian is straight forward and concise when.."
"Excellent work and honest assessment of repairs needed now and.."
"I always recommend your company because I feel that.."
"Thank you for the quick turn around on the service and repairs." "After a hiatus of 6 years, I decided to go.."
"Great honest mechanic. Very happy with the service and cost..."
"High on quality, honesty and very good customer service. Each.."
"Very professional and friendly. They explained everything very well and.."
"Brian’s shop is my first choice in the neighborhood. Brian is.."
"Great place for new customers and old. Prompt, fair, knowledgeable.."
"Always professional & thorough & friendly!!" "Always fair and honest. In and out in one day." "Honest diagnosis and fair prices. Easy scheduling and on time delivery." "I am a resident of Chula Vista and let me.."
"I would say that Brian’s Automotive will give you an.."
"Best group of people in the business!! We luv you guys!" "Honest, integrity and old fashioned service. Family atmosphere and receptionist friendly too." "Excellent service, excellent repair, excellent employees!" "I have always received excellant and honest service." "Great work at fair prices and Brian goes above and.."
"Great people, great service. Very reasonable rates." "They are honest and hard working to give the best.."
"It is a great shop. Brian is honest and does great work." "Excellent service! Friendly staff. This shop was recommended to me.."
"Good old fashion customer care and quality customer service at.."
"I would not take my car to any other place..."
"A truly knowledgeable honest repair shop." "Brian offer excellent service and good prices for the repair work." "Friendly, thorough, honest people with excellent followup and communication. .."
"Honest, fast and great work at fair price!" "quality work, keeps you updated along the way, fair"
"A continuing satisfied and happy customer . . Replaced a.."
"Excellent service, fair prices and no pressure to perform extra.."
"I have been a regular customer for years! Quality, service are outstanding!" "Expert quality service you can trust. This it the best.."
"I had a custom auto shop .and sent my work.."
"They must take their vehicle to "your" shop. I.."
"This is a first class shop, great mechanics and front.."
"Bryan offer excellent service and great affordable prices for their work." "Can’t be beat, honest and thorough"
"They do great I and are very nice and very.."
"Exceptional, upfront/communicative, prompt and great work." "Brian and his team always do great work. I.."
"Excellent place. Will only use this shop for anything else." "One word TRUST Great service"
"Honest reliable, can't beat his service or prices. This is.."
"The service was great and rushed without sacrificing efficiency and quality work." "Any work I can't do goes Brian. He's the "go.."
"My car broke down in Escondido away from my town.."
"Very professional and very fast. Always treated as a friend.."
"Wonderful, honest, fair priced and friendly"
"Top Quality , really honest , fantastic service. Have been.."
"The best. Great service, honest estimate, great rates"
"They are very courteous and professional. Always get my vehicles.."
"Thanks as always Brian and Candace!" "Brian’s automotive has provided friendly and beyond competent service, even.."
"TOP NOTCH SERVICE. I HAVE AND WILL RECOMMEND THEM.."
"I would say they are conscientious, friendly and friendly and priced reasonably"
"Above and beyond great customer service and quality work. Brian.."
"This is a great repair shop! Honest and fair!" "As a customers of 20+ years, we always recommend Brian’s,.."
"I would say I’m so grateful someone referred me 3.."
"Excellent prompt honest service, very friendly too!" "Great folks, service, and integrity!" "Excellent and honest service by Brian and his team." "If you want your repair or service done right the.."
"Get your car fixed there. Prices are great. Friendly service." "Excellent work for a fair price. You won’t be upsold anything"
"They treat you like family and they tell you the.."
"Best autoshop experience of my life. Totally honest , straightforward,.."
"Very reliable shop! Brian and his wife are great and.."
"Professional, friendly and good value." "If you need service on your vehicle I would highly.."
"Excellent place , 1 stop shop , from smog to.."
"Superior on all counts. Highly recommended." "They are fast, efficient and honest. Prices are more than.."
"I would definitely recommend Brian’s Automotive. Honest, timely, great.."
"Extremely professional auto shop. Service is great. Take care about their customers"
"Exceptional- never have to be concerned about an automotive repair.."
"Mr.Brian has always been exceptional in making whatever problems you.."
"Best place in town. Honest and thorough"
"Brian’s fantastic and an excellent mechanic. Candace is also fabulous.."
"They do great work and customer service is great!" "Go to Brian’s! He’s our mechanic!!" "Was my first visit to Brians Automotive. Brian and.."
"Brian is awesome and willing to go above and beyond.."
"Very friendly service. There was a miscommunication and Brian gave.."
"Fast efficient service. Friendly receptionist/cashier"
"Quality work, great customer service"
"They are honest, prompt, and provide quality service. We have.."
"Honest dependable reasonable friendly plus w love Candy"
"I always get the best service here, it is done.."
"Uncommonly honest, tenacious and skilled. Trustworthy and pleasant to deal.."
"Don't know why I haven't left a review for Brian's.."
"honest people & great work"
"They do what is needed to service your car and.."
"The Best! Helpful in explaining things, best prices in town,.."
"Brian's shop and Brian are terrific. He does a.."
"I have been with Brian since 1985 and would not.."
"Excellent. You will be very satisfied with both the.."
"Brian's Automotive is consistently high quality service and a high.."
"Brian's Auto is the best place to have work done.."
"MOST HONEST PLACE TO GO." "Most hones mechanic I have worked with"
"The best and honest mechanic out there"
"Work was done efficiently and professional... Staff is Reliable and.."
"This is the only repair shop that I have complete.."
"Brian did an excellent job repaired my AC unit. He.."
"Brian provides the highest quality of service available." "I would highly recommend Brian's because they are fair priced.."
"Go there...and you will get good service." "Superb. Won't take my cars anywhere else . Recommend him to everyone"
"Great work, great prices, and pleasant personalities. Terrific." "Great work and customer service!" "Brian and his staff do excellent work and you know.."
"I have been going to Brian's for 20 years and.."
"No repair shop in Escondido is as good, fast, courteous.."
"Very honest, professional, quality work from the entire operation. .."
"Brian's Auto is reliable, cost conscious, quick service, and excellent.."
"Great work and a service of integrity!" "Excellent service. Would not take my car anywhere else." "Best place in town! Quality work and integrity!" "Great service at Fair price"
"Every time we take a car in the work is.."
"Brian's Automotive and Diagnostics..entire staff is very professional and attentive.."
"Brian's auto and diagnostics shop and it's staff is very.."
"Brian is honest, thorough, and does great work at affordable.."
"We trust our Auto Service with Brian's Automotive." "their fantastic , trustworthy & always have done a great.."
"I am extremely happy with Brian, from the customer service.."
"Brian's is the best, he really knows his stuff &.."
"Always takes care of any problems that come up, thank you!" "I recommend you based on my experience and they all.."
"Excellent. Have referred several people to Brian"
"Recommend without reservation! Professional, honest and personable." "Whatever It Takes customer satisfaction attitude and hard worker along.."
"You are the very BEST and so honest and professional!.." "That it's excellent and I'm so glad my friend recommended.."
"I have had my car serviced at Brian's Automotive for.."
"Yes, I have always found them to be honest and.."
"Brian and Candice are extremely and knowledgeable. We have.."
"I would report that I have never been experienced a.."
"Brian's has proved honest in diagnosis, prices, and if a.."
"We always recommend Brian's Automotive. Barbara Ford Great Dane Realty"
"Provides appointment, stays on schedule, always informed of possible problems,.."
"I have recommended Brian's Automotive many, many times to friends.."
"Knowledge, fast and fairly priced.... he saved me again!" "I would highly recommend Brian's Auto's friendly, efficient, high quality.."
"They are honest and very fair. They don't overcharge, and.."
"As a AAA Member, I found them to be very.."
"Great customer service. They let you know what services need.."
"Knowledgeable service....and no unneeded service..."
"The work is of the highest standard at a fair price." "Excellent diagnostics, quality of work and super customer service with.."
"Brian's Automotive And Diagnostics' is Amazing. When you have work.."
"The quality of work at Brian's is beyond compare! He.."
"the best in the west...great customer service, very experienced, professional.."
"always available...always great communication....trust them completely." "that Brian is an honest man and offers great service.."
"Very friendly and honest business. Will not try and talk.."
"They do not sell you or scare you into doing.."
"Great, honest local neighborhood service. Saved me a ton of $$$." "They are efficient , thorough, fast, and honest. I recommend.."
"I would always refer people to Brian's for the friendly.."
"Brian runs his shop with honesty and integrity. He.."
"B.A.D. is thorough, the diagnosis was clearly explained and documented.."
"Superb customer service, fair prices, honest and dependable." "They do a fantastic job"
"Great service performed in a timely manner, they always give.."
"The most friendly, honest, capable mechanic you could ever have!.." "Great service, on time, kept informed on problem, action to.."
"Best quality of work and customer service around. Also very.."
"exceptional work...great customer service...the best I've ever seen/had....we depend.."
"Great service every time, even when they are swamped with business!" "Brian and his staff do wonderful, honest work at very.."
"Outstanding--most important is honesty and trustworthiness. But also, a.."
"It is exceptional, and I would recommend Brian's in a.."
"Excellent Customer Care, competitive rates and quality service... Everytime!!" "They are very friendly, very knowledgeable and very reasonably priced..."
"They are very dependable and honest - I have referred.."
"I keep coming back to Brian's because his pricing is.."
"Fantastic. Does what needs to be done and doesn't try.."
"They are very good at diagnosing and fixing the problems.."
"that it is one that you can trust, that you.."
"Trustworthy , reliable work done always"
"I would tell them that Brian and his employees are.."
"That Brian's Automotive gives the best service ever! Brian,.."
"Top notch! Always a pleasure going there. On time, fast,.."
"I would say that the work is always done well..."
"Excellent service , honest and fair pricing, friendly"
"Always quality work, goes above and beyond to ensure the.."
"Brian's is always fast, friendly and honest! They always provide.."
"Excellent work! They took great care of my car and.."
"Skilled, quality work with integrity and more than fair!" "Outstanding--I've recommended B's A to many." "You can trust these guys. I have seen their honesty.."
"Quality service, fair pricing and a man of integrity"
"very professional, very quick and well priced"
"Brian is very fair on his pricing and gets the.."
"Very thorough and fair. Customer service is awesome. .."
"We love Brian and Candy. They are so helpful, make.."
"The best in town. Honest, gets the job done in.."
"I tell others that I find Brian honest and his.."
"Brian, Constance and Brian's staff are wonderful. Very personable, professional.."
"A good, honest automotive shop"
"Brian's Automotive is the very best in automotive care." "Brian's Auto always does a great job with repairs. .."
"I did some internet research on all smog stations in.."
"Fast and efficient. Very reasonable rates. Brian and.."
"Quality of work and customer service was excellent"
"Brian's Auto is a trustworthy mechanic that provides excellent service..."
"Highly recommend brians shop for all work especially diagnostics"
"I have allready refered friends to Brian's"
"Brian and Candace and their team always provide professional and.."
"They are very knowledgeable in diagnosing problems and do high.."
"always very happy, great honest folks"
"They are very fair with there pricing. They don't recommend.."
"We have two old vehicles--2004--and while in the processing of.."
"Excellent shop! Knowledgeable and fairly priced." "They won't try to sell you work or parts you.."
"I feel I am not being taken advantage of. Everything.."
"Brian's was recommended to me by close friends whom I.."
"Brians Automotive is the very best auto repair and maintenance.."
"Quality of work is superior. Customer service is unique in.."
"I highly recommend Brian to everyone I know." "Brian's Automotive is reliable, trustworthy & they get your car.."
"We had issues with our check engine light. Brian's Automotive.."
"Quality care at honest prices." "They are very accommodating at Brian's Automotive, from the first.."
"Great work! Reliable and thorough. We have been coming to.."
"Good friendly, quality, professional service"
"Everything you want from your mechanic. Helpful, honest, always has.."
"I would tell them Brians Automotive is an honest, dependable.."
"I highly recommend it to family and friends. They.."
"It's the bomb.com, I would definetly recommend going here for.."
"You guys are the best-always take good care of me." "Great customer service and I am confident in the work.."
"The work that Brian's Automotive has done for me has.."
"The service I recieve at Brians automotive is well worth.."
"As I have said before, I have been a "follower".."
"Best place in town for quality and integrity"
"Great service and workmanship with reasonable prices plus a military.."
"Very polite mechanics who take the time to talk to you." "Fantastic, Brian's was trustworthy and did a great job at.."
"I am very happy with them and I love the.."
"Quick in and out job well done at reasonable rates.."
"Quality work and exceptional customer service. A place of integrity.."
"Excellent! Very honest good people. I know my car is.."
"They quickly diagnose your vehicle's problems and take care of.."
"Trustworthy and dependable! So glad I found Brian's Automotive this year!" "I don't let anyone but Brian touch my car." "Both the quality of work and the customer service are.."
"Trust Brians judgment and love candy's smile and service attitude"
"Honest and fair! I will use Brian for all my automotive needs." "I was very impressed with the work that was done.."
"They're great. I trust them"
"Great service, quotes and pricing are right. Great guy and.."
"100% honest and legit. Highly recommend." "Honest, thorough, outstanding customer service"
"Brians Auto is one of the most qualified shops that.."
"Brians Automotive is friendly, flexible, does great work at a fair price." "Brians shop is very honest and trustworthy"
"I would not take my car anywhere else! Brian's Auto.."
"I would tell them that I do not take my.."
"That it is a nicely run shop, that all of.."
"The only work and service I trust." "I was late for my appointment (by a few hours).."
"Here is Brians business card. My friend and I have.."
"Great service. Brian oversees all the work being done and.."
"Excellent quality work and top notch integrity!" "Brian and his crew are the most honest and reliable.."
"Excellent skill in diagnosing problem. Brian is honest mechanic--a next oxymoron!" "Brian's Automotive does great work! High quality and timely completion"
"Candice is wonderful watch out for the owner." "absolutely recommend -and I have"
"I was in Escondido on business when My car decided.."
"The best service my car has ever had with a.."
"take the car to Brians for repairs ,there the best.."
"I feel a personal bond. I trust Brian and know.."
"Brian's Auto is the only one I trust to do.."
"We always get great service and very fair prices. Get.."
"It's refreshing to find an honest mechanic, one who will.."
"Ever since hearing about Brian's Auto & Diagnostic's several years.."
"Exceptional, friendly service and work!" "OUTSTANDING!!!!!!!!!!! Prompt, thorough and honest!" "Excellent. They do the work that needs to be done.."
"HIgh quality work from trustworthy people"
"In a word, it's an auto repair service we can TRUST!" "Thanks Brian for fitting me in for the AC recharge." "I can count on honesty and I get the work.."
"I am so happy to have a repair shop in.."
"Absolutely Awesome. Would not take my cars anywhere else. Very.."
"This business does outstanding work." "The quality of work is very good. They have the.."
"Brian is the most honest auto mechanic I've ever known"
"***** five star quality of service"
"I have been going to Brian for car service for.."
"Brian's team works hard to give the best possible service.."
"I would tell them that I consider them A-1"
"Brian does top quality work. You can be sure that.."
"A+ grade for customer service and quality of work!" "Excellent, professional, friendly, capable and honest....all of them." "Brian's Automotive is very trustworthy, knowledgeable and fair. I highly recommend him." "Highly recommended, honest auto shop, a rare gem in the.."
"Very knoledgeable, thorough, reliable, and timely"
"I would highly recommend Brian's Automotive as the best place.."
"Very friendly, fast and quality is a must." "That I wouldn't trust anyone else!" "Brians Automotive is like an old friend, a real keeper..."
"Brian's automotive does a wonderful job. I recommend them to.."
"excellent work and service; they really care." "excellent service by technicians and office staff." "Once again, another outstanding job, truck is running very well :)"
"The customer service at Brian's is great. They go above.."
"Outstanding service, fixed right the first time and reasonably priced." "Very honest, efficient and friendly!!" "Great service and great choice instead of dealer"
"Trustworthy and honest and quality workmanship." "Brian's provides quality work at a fair and honest price..."
"Customer, even if it's your first time there, you're treated.."
"Brian is talented, honest, reliable and fair. He and Candice.."
"Excellent work and fair prices, every time :)"
"Great place. They fix what needs to be fixed and.."
"I wouldn't take my car anywhere else, they are honest.."
"Honest, good prices, fast response to get worked in, address.."
"I would heartily tell them the quality and service is.."
"This seems to be a great place! Very honest people.."
"We have been with Brian's Automotive for over 20 years.."
"Excellent customer service with sound judgment in assessing a auto service problems." "Excellent service from check in to work being completed correctly.."
"I would tell them that Brian's - all staff included.."
"Customer Service and Quality of Work is an A+." "Brian's Automotive provides quality service. Brian and Candace are very.."
"Finding a shop like Brians is wonderful"
"Good work at a fair price. Willing to do the.."
"One of the most honest mechanics I know! I wouldn't.."
"Excellent diagnostics and repairs. Diagnosed problem on first visit -.."
"Quality of work is excellent. Customer service is among the.."
"Awesome service..friendly staff..all around great crew.. Brian is a great guy"
"Great work at a fair price!" "Good quality service done in a timely manner. Helpful, fair and friendly." "Honesty is best Policy for Brian. I got some major repair(Timing.."
"Brian's work is absolutely wonderful. He's an extremely knowledgeable professional.."
"work and service are very excellent, top notch... and the.."
"Exceptional customer service as well as extraordinary automotive care. Extremely.."
"To date , very good !" "I wouldn't go anywhere else! An honest and trustworthy.."
"I wouldn't go anywhere else! An honest and trustworthy star.."
"Brian test drove my car and gave me honest feedback.."
"That the shop is Honest and up front and fair.."
"I think Brian's Automotive is the best. I have been.."
"OFFICE AND STAFF ARE A-1.....BEST AND MOST HONEST MECHANICAL WORK EVER." "Brian's auto & diagnostics was friendly and quick! i will.."